This machine is used to weld the paper element and the plastic end caps of the oil and fuel filters. 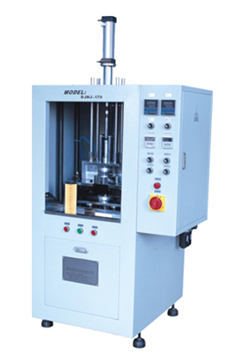 1.This machine is designed to melt the surface of plastic end caps and then shortly embed the paper elements by the heated plates so that the components could be weld together quickly and strongly without any adhesive. 2.This machine is easy operated, and with excellent jointing quality.